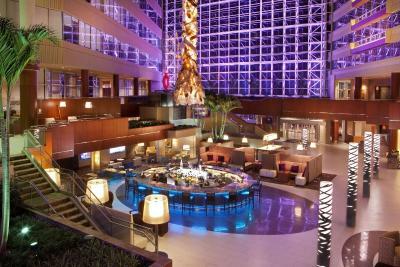 Lock in a great price for Hyatt Regency - Greenville – rated 8.6 by recent guests! Everything was great once we were able to check in. The staff was excellent with making sure we were comfortable. The locations was perfect. The main lobby area is a really great space:fountains, nice seating, cool lobby bar. Appreciated there being a Starbucks on site. The location was ideal to feel the great vibes of Greenville! Tons of great food, pubs and shopping. Any easy walk to everything. Easy parking in the garage. The location was very convenient and walkable. It was the best part of my stay. I loved how homey it felt and how comfortable and clean the room was. Also I loved the restaurants in and around the hotel. Perfect location. The location of the property was amazing! Check in was great! And rooms were very spacious. Bedrooms have huge 65 in smart tvs which are a huge plus! comfort, big tv, modern. Breakfast definitely exceeded my expectations. The staff was friendly and the location of the hotel was in a great spot. Room was clean, noticed some rust and etc in the shower. When I got to the hotel we had found that your company booking.com had not completed its part in the booking process for the stay Therefore we had to make a second payment to stay at this hotel and luckily they had availability we tried to call three times to your customer service and was placed on hold for over 10 minutes and then the phone will get disconnected from your company’s line. I want my money refunded back to the appropriate credit card that was utilized for making this reservation and I am absolutely completely dissatisfied with your service There was no attention to detail and the lack of having availability to even talk to a customer representative to clear this matter up while we’re waiting for 20 minutes at the front desk is horrible. Please refund my money immediately! Location was good. Walkable to restaurants and some shops. Staff friendly and helpful. Beautiful lobby. 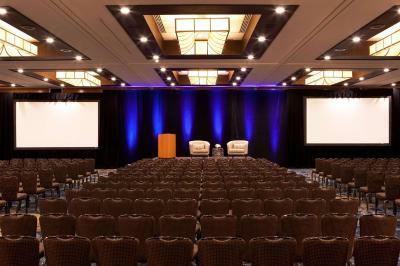 Hyatt Regency - Greenville This rating is a reflection of how the property compares to the industry standard when it comes to price, facilities and services available. It's based on a self-evaluation by the property. Use this rating to help choose your stay! One of our top picks in Greenville.Hyatt Regency - Greenville is located in the heart of Greenville and is 1.2 mi from Falls Park on Reedy River. Guests can enjoy an outdoor pool, a restaurant, and a lounge throughout their stay. A flat-screen cable TV and coffee-making facilities are featured in every room at this Hyatt Regency. Extras include a hairdryer, safety deposit box, and ironing facilities. Wi-Fi is available for a fee. A fitness center and jogging paths are on site for added convenience. 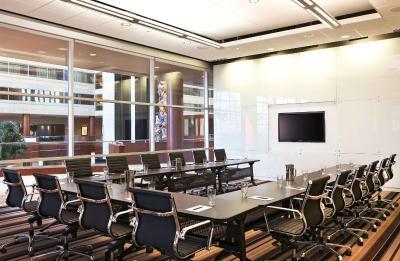 Meeting facilities, a business center, and dry cleaning are offered by Hyatt Regency Greenville as well. 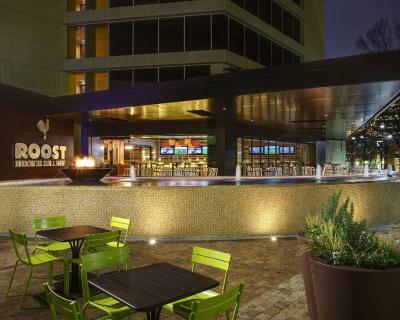 Roost is a creative farm-to-table restaurant featuring handcrafted food and drinks. 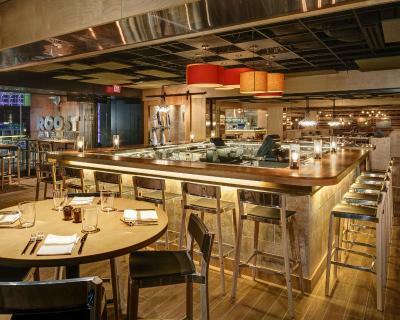 Guests can mingle at Orb lounge’s full-service bar. Greenville Waffle Company waffle cart serves made-to-order waffles. An airport transfer service is offered to and from Greenville Downtown Airport, which is within 1.2 mi from the property. Greenville Zoo is 1.2 mi away. Downtown Greenville is a great choice for travelers interested in walking, city walks and waterfalls. This property also has one of the top-rated locations in Greenville! Guests are happier about it compared to other properties in the area. 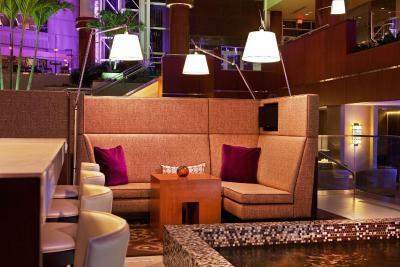 When would you like to stay at Hyatt Regency - Greenville? Please note a roll-away extra bed can be accommodated in this room. Public parking is available on site (reservation is not needed) and costs USD 7.50 per day. Please note a roll-away extra bed cannot be accommodated in this room. This room features a skyline view and a flat-screen TV with cable channels. A coffee maker is provided as well. This room features a flat-screen TV with cable channels. A coffee maker is provided as well. Guests will enjoy the comfort of a furnished seating area. This suite features panoramic view of the Blue Ridge Mountains. A small refrigerator and coffee are provided as well. Guests will enjoy the comfort of a separate furnished seating area. This suite features a view of the hotel's atrium. A small refrigerator and coffee are provided as well. 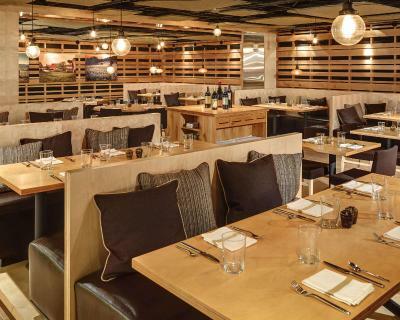 Guests will enjoy the comfort of a separate furnished seating area and dining area. Hotel surroundings – This neighborhood is a great choice for travelers interested in walking, city walks and waterfalls – Check location Excellent location – show map Guests loved walking around the neighborhood! 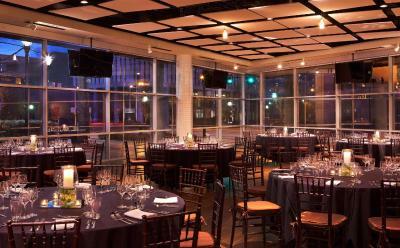 House Rules Hyatt Regency - Greenville takes special requests – add in the next step! Hyatt Regency - Greenville accepts these cards and reserves the right to temporarily hold an amount prior to arrival. Our room wasn’t ready at 3:00 as promised. We were able to check in at 3:50. The room, although very clean and neat, was a bit too small and basic for the price. I guess you are paying for the location. When we first checked in, we looked at the bathtub and it appeared dirty. And every day we stayed there, housekeeping missed something else. They forgot to replace the dirty towels they took away, then they forgot to replace the empty toilet paper the next day. I hate to place all of the blame on the housekeeping staff because I'm aware that they have such limited time to clean rooms -- perhaps this is more of a problem of the management not giving them enough time in each room? Maybe not enough training? The lights in the bedrooms were dim and the blankets were thin. Also the A/C didn't work very well. Last time I stayed here my room was cleaner. This time the couch had breadcrumbs on it. There was a massive group of teenagers just checking out and they left some trash behind in the elevator - but it was cleaned up the next day. Great location downtown, everything in walking distance. Great restaurant and lovely breakfast. The valet is very nice and attentive. Bed and pillows could have been comfier. Bathroom door was weird and difficult to lock. 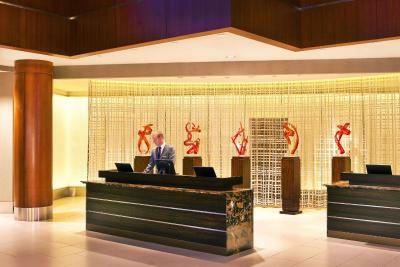 Staff was super friendly and the lobby area is very impressive. Location and the updated rooms. Walls are thin. Another guest coughed all night. priced a little high. I found the same type of room at the same place for the following weekend for $50 cheaper. I don't understand the price fluctuation.